The 1980s were a strange decade for me. Befoe I met Martine, I was in love with two gorgeous black women—though I was firmly ensconced in the “friend zone” with both of them. There was Melinda, with whom I worked, and Janice, a young physician. And my favorite singer was the lovely Whitney Houston, whose 1985 album, “Whitney Houston” contained some of the most beautiful singing I had ever heard. That plus the fact that she looked like an angel come down to earth made her my favorite listening choice, to the annoyance of some of my friends. The first tape I bought for my new 1985 Mitsubishi Montero was her first album. 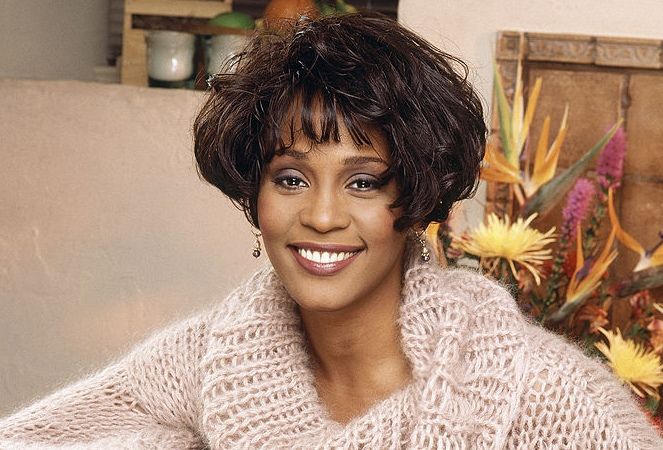 Today I saw Kevin Macdonald’s documentary entitled Whitney. The singer’s life was neatly divided into two parts: the spectacular rise and the equally spectacular fall. As beautiful and talented as she was, Whitney was sexually abused as a child—by one of her female relatives—and then she fell in love with and married a debauched ogre, alias singer/dancer Bobby Brown, who help turn her hopes and dreams into mud. When I look back at the early eighties, I think of the twin scourges of AIDS and cocaine. Cocaine was everywhere. If one was a celebrity, one had no problem getting as much nose powder as one wanted. It is pathetic to see Whitney toward the end of her life, aware that somewhere she had taken a wrong turning, but still faithful to many of the people who were living off her fame and intent on killing the goose that laid their golden eggs.